Does anyone here use the retractable lanyards for things like pinpointers or brushes? Are there types you like, models you would recommend? I found one for keys at Home Depot and tried it, but did not like it at all. It was on a 'chain' and the chain was kinda difficult to pull out, very rough. The round ones with the chains are ok...until they break and they always do or get jammed up. I went through too many of them when I worked in a business where I had to keep pulling out keys. Most use one of those cheap curly ones like you get at casinos and they seem to work ok. Still keep an eye on your stuff no matter what you end up using. I put orange duct tape on my Propointer so it would be easy to see it left behind. It works well during the Spring and Summer months but I found out with the Fall leaves changing colors it blends in with them. I may have to find a way to attach it to my finds bag. I bought a bunch of the curly ones from Aliexpress for cheap. I always have the pinpointer on one, the detector only in water. I have had bad luck with the retractables, they don't like getting dirty. I have had bad luck with the retractables, they don't like getting dirty. That makes sense and probably explains why I never had any luck with the retractables. I did buy a dozen of the coil lanyards on amazon for less than $1 each. So far so good. Mostly used on the pinpointer and as giveaways to friends. I found a bag of the coiled lanyards at a thrift store (That has since gone out of business). I have enough to last me for sometime but I usually never use them. I don't like being tied to my detector or anything else. That's why I like woreless headphones. 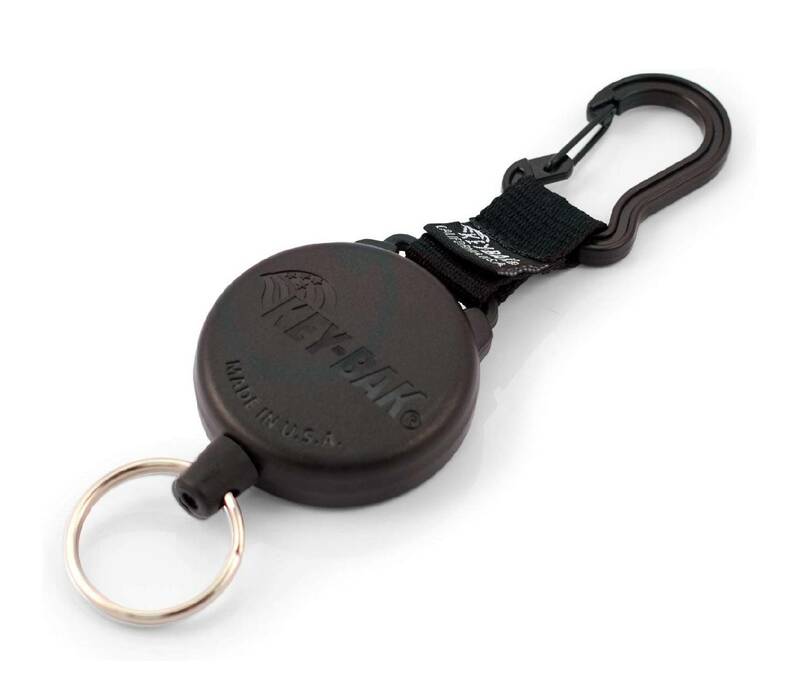 I use the Key-Bak SECURIT Heavy Duty Retractable Key Holder. They are Kevlar, I believe. I have one on each pointer and I have them for my machines. They are tough. I've been using the same ones for over a year and they take a beating. I do what Silversmith does. Orange duct tape works wonders, and I attach pinpointers with a section of 550 cord. It doesn't hang up too bad when I hunt, and I know it's not gonna break on me. Well, I guess if it does break, I'll probably feel it pulling anyway! Thank you all for the advice. This post in particular inspired me. I decided to try making some. It was pretty easy and fun to make, too. I'll try these out and see how they go. Otherwise I may look into the one posted by abroome. Here is what I made, one for my pinpointer and one for a brush. Looks good. Glad I could help. Make sure you watch part one too. You have to prepare the paracord first. 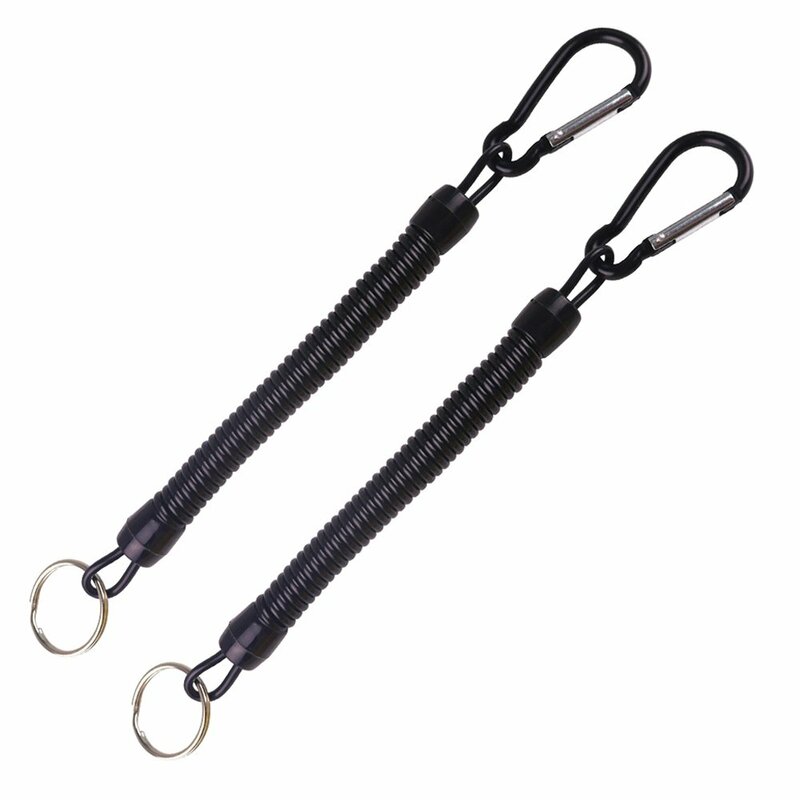 Look at retractable fly fishing lanyards. Many, many types to choose from.